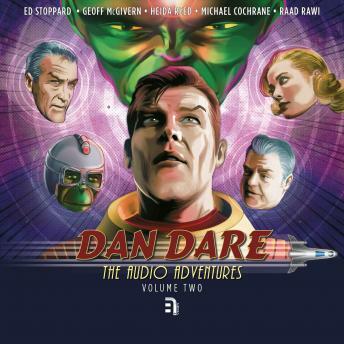 This excellent collection includes not only the last three stories from season one of Dan Dare’s Audio Adventures, but also the bonus feature documentary ‘Dan Dare: 21st Century Spaceman’. Science journalist Richard Hollingham explores whether the reality of space exploration is catching up with the Dan Dare universe. Featuring interviews with the cast, director and lead writer about re-inventing Dare for the 21st century, Richard meets a real rocket scientist who owes his career to the pilot of the future.